An infant is given a death sentence by the heavens due to her identity as the bringer of catastrophe. Ji Gong is determined to steer her towards the right path. Xiao Die (Xu Shendong) was born eighteen years ago during a terrible thunderstorm. The same night, a blazing fire engulfed their village and killed her father. The gods in the heavens looked into Xiao Die's identity. After learning that she is fated to bring catastrophe, they are unanimous in the decision to kill her. 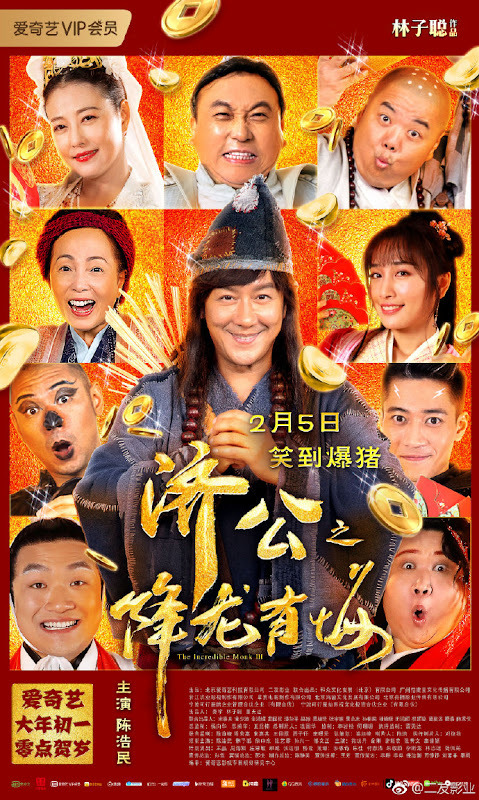 In order to protect Xiao Die, Ji Gong (Benny Chan) places a seal that will keep her safe from mortals and immortals alike. Eighteen years pass and Ji Gong and the gods remain at a standstill. They make a deal that Ji Gong must accomplish within seven days. He begins by praying for the evil spirits within Xiao Die to help them become good. The method works but one spirit that is revealed to be the King of Catastrophe remains, and it could spell a disaster for all of mankind if he appears. Can Ji Gong save Xiao Die in time? 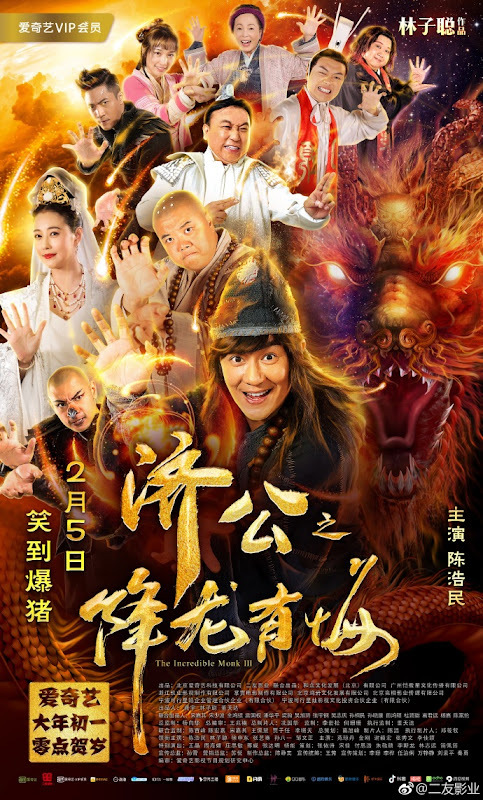 It is the third part of The Incredible Monk movies starring Benny Chan. Let us know why you like The Incredible Monk 3 in the comments section. Please also share these fun facts using the social media buttons below.